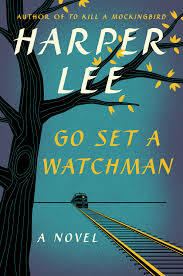 Go Set a Watchman is a must read. I’m so happy to say that. I wanted to enjoy it and enjoy it I did. I happily traveled with Jean Louise/Scout back to her hometown. I couldn’t wait for it; bought the book on the day of its release, the anticipation heightened by the image of the train coming up the tracks on the book’s cover. Who would have ever thought we’d be taking this trip together? Harper Lee spends about a hundred pages allowing Jean Louise to explore her old hometown, notice the changes, indulge in the nostalgia, infusing the first third of the book with a meandering Alabama sultriness that might irritate some readers. In other words, the book starts off a bit slow. Then it goes from zero to sixty and all the shocking layers of life in Maycomb during the years since Jean Louise has been gone are peeled away. Jean Louise is the same type of earnest, spunky female as Louise May Alcott’s Jo Marsh. Both are rash, prone to fly off the handle, jump to conclusions, fight boys. Surprisingly, this is the trait that led me to get frustrated with her in Go Set a Watchman and provided me with my one complaint about the novel: When she discovers her adored father is attending white supremacy meetings with all the other townspeople, she reels, questions everything she’s ever known, lashes out, makes herself physically ill. 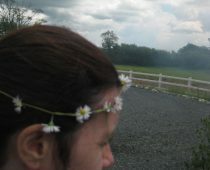 But she never sits her father down to ask him, “What has changed?” At least, not until towards the end, but by then she’s got herself––and us––so spun into a state, that there’s little he, or anyone, could say to calm her. I find it difficult to believe she wouldn’t attempt to understand the bizarre actions of this man to whom she was so devoted. To decipher the fears and worries that drove him to behave so out of character. As someone from a small rural patch of Ireland, I know that when I go home I might hear a member of the older generation––then again, not always older––maybe even family, say something so politically incorrect that I will be struck dumb. Some places are slower to catch on than New York City. Come on, Jean Louise, you should know that. Its the 1950s! What happened, we used to be so close? 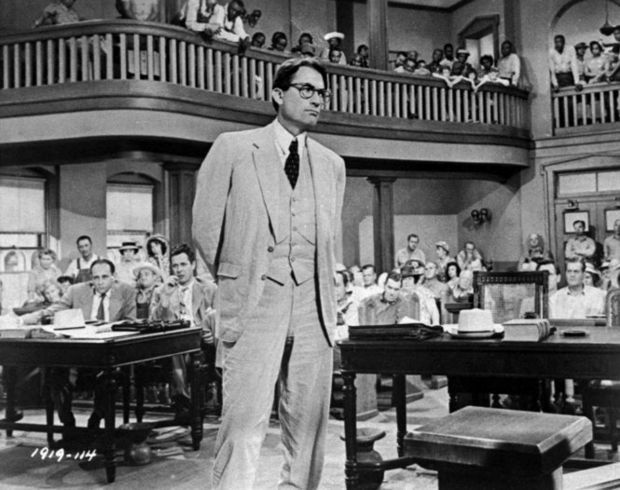 Many critics have lamented the release of what is essentially an earlier draft of To Kill a Mockingbird. They say it’s a writer’s worst nightmare to have one’s work released without proper editing. Who then, I ask, would they field marshall in to come at this national treasure armed with their red correction pen? Jonathan Franzen? Chimamanda Ngozi Adichie? Oprah? The novel, released without any editing, is how it should be. We see a writer in the middle of her process. As a literary curiosity, it’s wonderful. Then they rage, What writer would want a piece of work released that is so significantly inferior to the masterpiece at the heart of her legacy? It is inferior but it is still great. Harper Lee herself described it as “a pretty decent effort.” The fact is this piece of work represents her original vision for her debut novel. The legacy we all bow down to was based on commercial compromises placed upon her by an editor. Doesn’t this give the new work weight in itself? Isn’t original artistic intent of the author as important as the polish of multiple drafts. I want to believe it’s a form of age discrimination, and nothing more sinister, that leads the conspiracy theorists to claim Harper Lee couldn’t have been compos mentis when she agreed to release this novel. The presumption that an elderly woman who has eschewed the limelight for so long couldn’t possibly have one last subversive move up her sleeve to say, “Ah, what the heck! You didn’t see that one coming” irks me. It is reportedly friends who haven’t spoken to her in many years, and the Monroeville townspeople, who assert that some sort of foul play is at work. (Although how much can the townspeople be trusted when they, themselves, have been sued by Ms Lee for profiting off her name with sale of T-shirts and key rings?) Those described as closest to her claim she wanted the book released. Maybe we’ll never know (unless Vanity Fair sends one of their crack team of journalists down there to get to the bottom of it. It would be right up their street and I’ll be keeping up my subscription in the hope that it happens!) But in the meantime, I want to believe that the Pulizer Prize-winning woman who wrote a novel that has reached so many––there are reportedly more than 30 million copies in circulation today; who still pulls in $4 million annually, knew what she was doing. Let me go even further. What about this? Maybe, not only was she in her right mind, but she was so lucid she elected this very moment more than any other as the right one in which to release the novel..? Shootings have replaced lynchings, but there is little difference between some of the behavior reflected in Go Set a Watchman and that reported on CNN. It seems the election of the first black president set us back decades. I may be idealizing a much darker situation. I hope age discrimination is at play, for the alternative is the more serious elder abuse. Maybe I’m just looking for a new hero, now that Atticus has turned out to be just your average, common or garden human. You can pick up my debut novel Silk for the Feed Dogs here. Here, here! You have covered everything I wanted to say about this, and very eloquently, I’ll add. 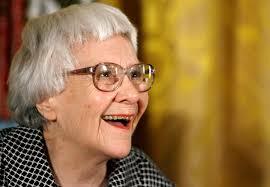 I haven’t read this book yet, but I applaud Harper Lee and wish her much success. It is well deserved. I understand that many believe “To Kill A Mockingbird” was written by someone else, or at the least, heavily edited for marketability. It worked, and I will read her “original” with much due respect. Wow..you read that fast! I am glad you gave it two thumbs up because, as I mentioned before, I wasn’t quite sure I wanted to read it. I believe the timing is purely coincidental but it couldn’t have come more a propos – sadly, not that much has changed in the 50 or 60 years since it was written. Let me know what you think whenever you get round to it. I have reservations for Atticus and his becoming involved with white supremacists. I was raised by parents who would not stand bigotry. My Dad was raised in a ghetto of Cincinnati and born in 1932, so he had a chance to grow up and know the difference between right and wrong. Even “Caucasians” knew how to be accepting “Blacks” by the time he was in school. He didn’t have good role models like I did. As you described Jo Marsh from “Little Women” and “Jo’s Boys,” I do remember their indomitable spirits. I realize I have to hope Atticus joined to create change. I want to believe in Atticus, as Scout did as a girl. If not, I may have to give away the book. Thanks for contributing your feelings which I think are shared by many. I won’t give anything further away but I look forward to hearing your thoughts and impressions when you read it. In the first half…but it’s nice to know that it gets better. Thanks. You’re very welcome. Those first 100 were quite slow going. I hope you are sailing through the rest of it. Let me know what you think! Great review, Jackie! Makes me want to read it if only for the experience of reading Lee’s unedited work. The only problem I have is the shifting stories of how this book came about. Sometimes I think people add more drama where it doesn’t need to be. Anyway, I digress. I suspect Lee knows damn well what she is doing and why. (My mom is 92 and still has more marbles than some people half her age.) I don’t know if she could have planned the timing of the book’s release, to coincide with our nation’s de-evolution, but then things have been getting very creepy and unsettling in recent years. We have technology to thank for most of it (dashboard cams, cellphone cameras), but the traction that people like Trump have gotten is chilling to say the least. I felt very proud of my country when we elected and then re-elected Obama. These days, not so much. Thanks for the comment. And good on your mum! Lovely to hear. I agree with you. People do have a tendency to stir up sturm and drang…and then again in this case maybe they’re alerting us to real trouble but I hope not. It’s difficult to be an impartial reader in this situation but I picked up the book and decided to leave all the preconceptions at the door. It’s true that we have tumbled somewhat from our proud perch of electing our first black president but I try to remain optimistic. I picked up the book recently but it may be awhile before I get to it. I’ll be leaving my preconceptions at the door as well. I know some readers feel “betrayed” by this new portrait of Atticus, but doesn’t Lee have a right to publish her novel as she wants? 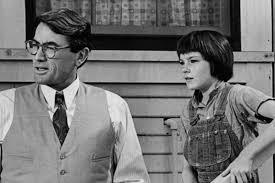 I don’t quite get how emotional some people are about it, but maybe I never saw Atticus as anything but human. This is refreshing, Jackie – I don’t know what to feel about the release of this book, but I’ve just realised that out of all the reviews I’ve read, yours is the only one that leaves the door open to my own interpretation. Which officially makes it the best review ever! Well, thank you, Tara! I look forward to hearing your views on it when it makes it to the probably rather lofty pile on your nightstand. An excellent post. Thank you for it. Thank you for reading and commenting, Cynthia. It’s much appreciated.